Arima serves small to large size manufacturing companies. An advanced planning and scheduling software (APS) based on production costs that optimizes order fulfillment and ensures minimal response time. 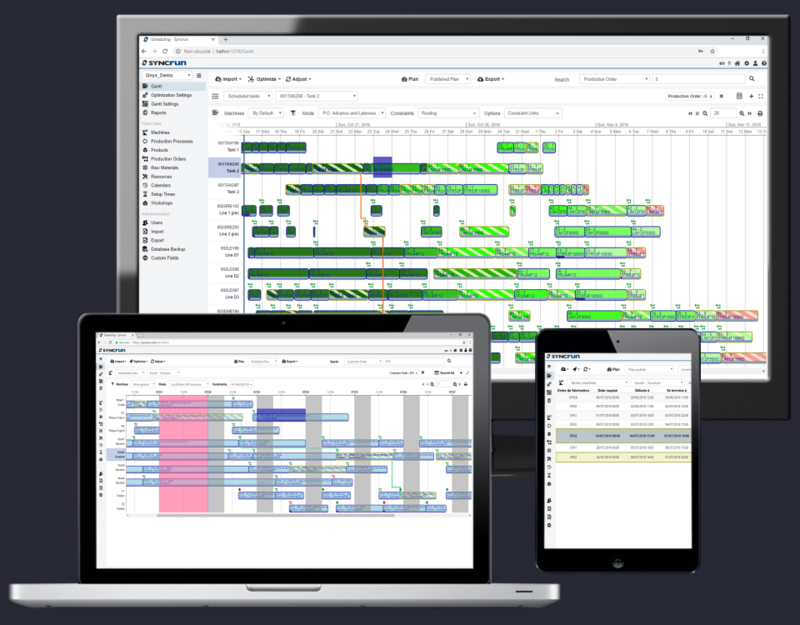 Web application used to generate accurate production schedules, optimize the use of available resources, deliver on time, anticipate material and labor requirements, know the impact of new orders on production, quickly adapt to unforeseen events, and compare scenarios. Designed to integrate with systems in place and fill the gaps of ERP, SCM and MES.